I have been updating the travel camera kit. 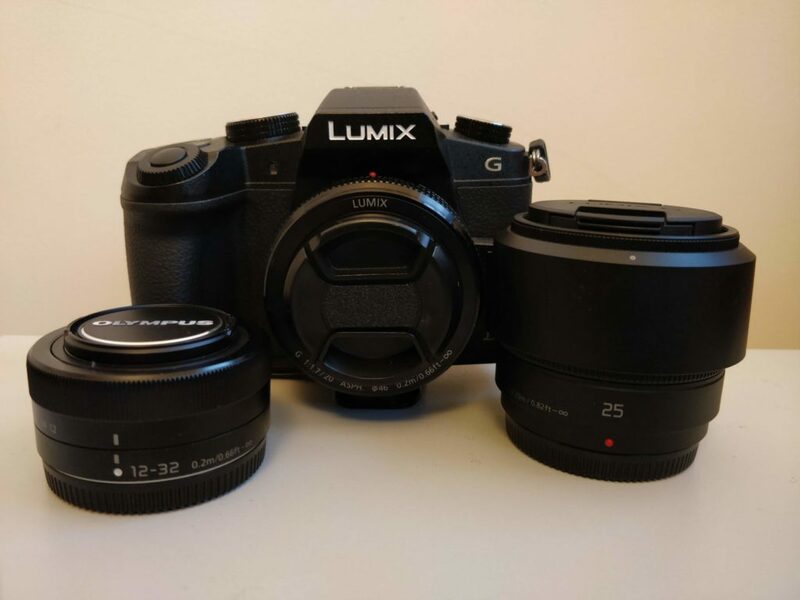 I started with the Panasonic G80 that I purchase with a 12-32mm (24-64mm equivalent) lens. I then decided that I would add a 25mm (50mm) as I really like the standard lens length. Finally I decided to try out a 20mm (40mm) lens, bit different but I had heard a lot of good things about that lens so I decided that I would give it a try. 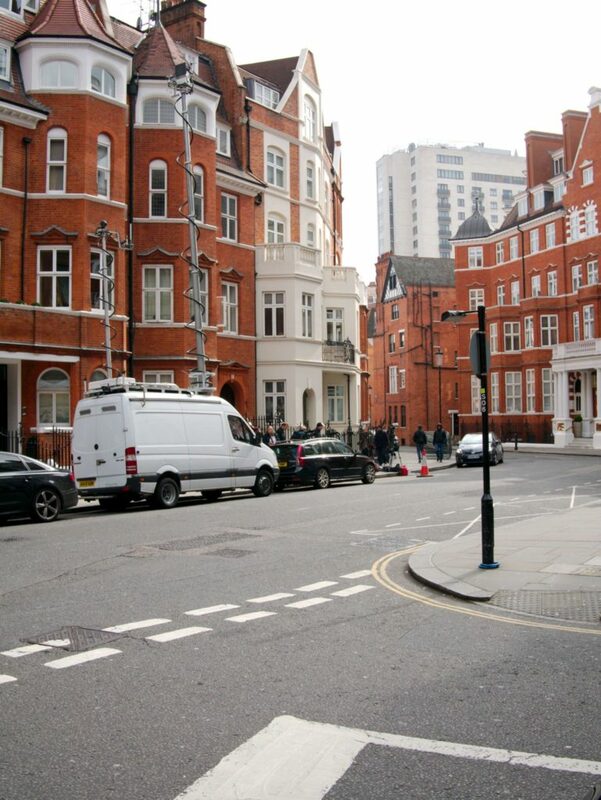 It is also like the 35mm length on my full frame and film cameras and is close to that. I have had the camera for a couple of weeks now and I really like it. The quality is really good and it has a lot of great features. Couple of my favourite features are the onscreen levels and I recently managed to get the Android app working. Importantly I think the quality of the images is really good. They are sharp with good dynamic range, I wonder if the lack of low pass filter improves the image quality. I will have to give the camera a good outing soon. I will be taking to Oxford soon, and the also Greece. So that might be the first to real opportunities to give the whole kit a good test. The G80 travel kit, 20mm on the camera, 12-32mm on the left, and the 25mm on the right. All purchased second had. 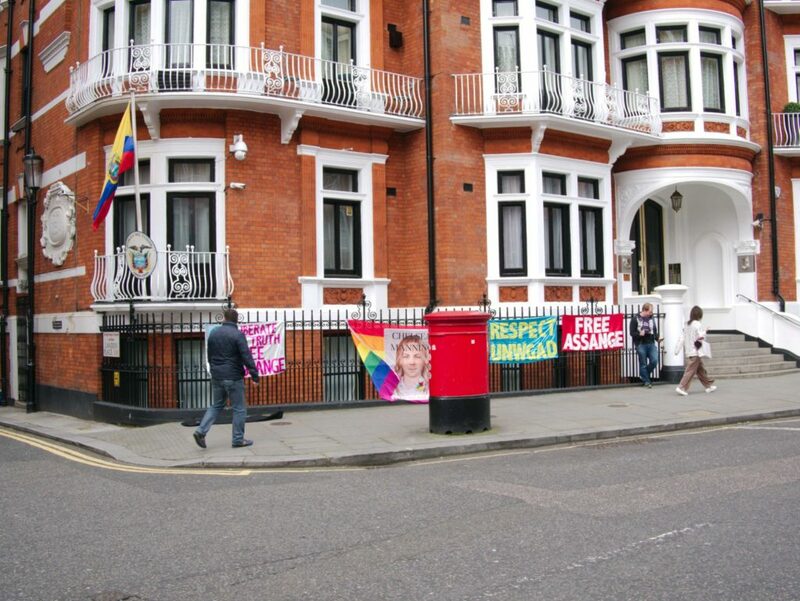 I popped by the Ecuadoran Embassy the other day as it was reported that Julian Assange might be expelled. I was in town already so I figured I might as well go and see what was going on. 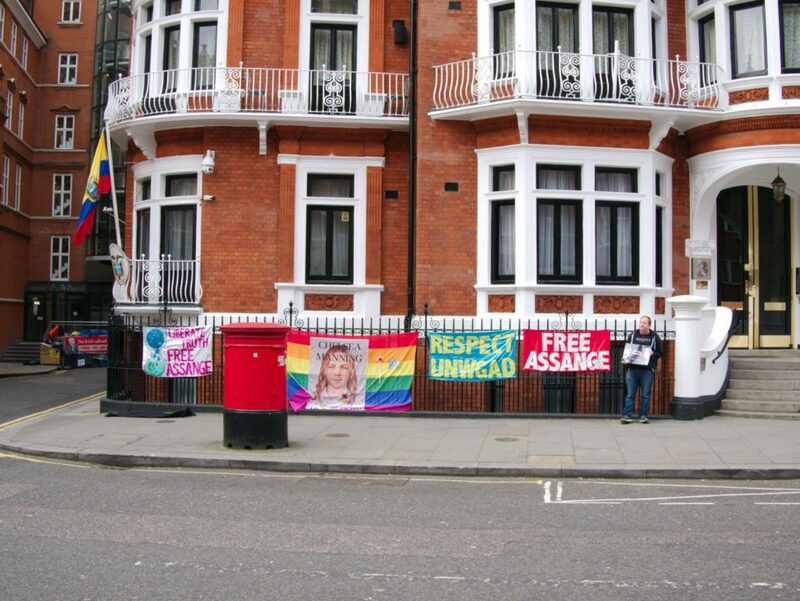 For those of you that don’t know the embassy where Jullian Assange has been stuck in for about 8 years is near Harrods in Knightsbridge London. 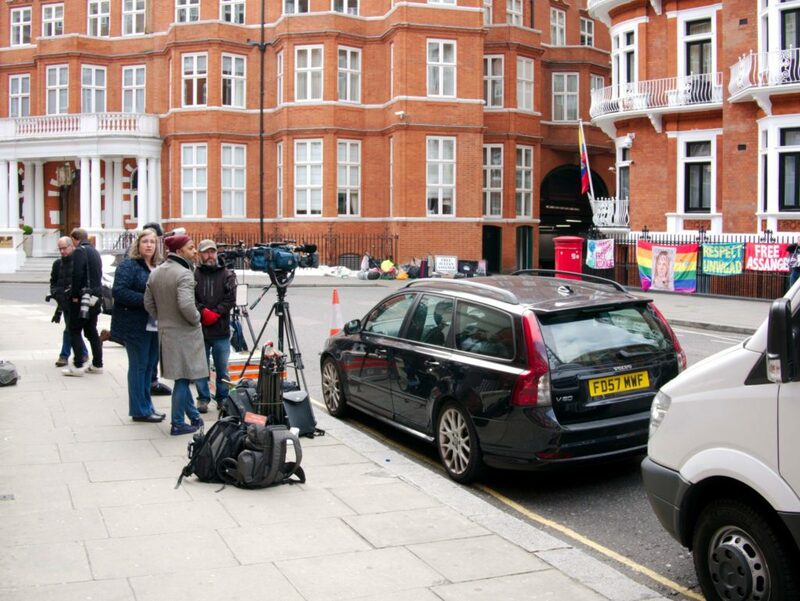 There was very little going on as some minutes before the claimed that he was going to be expelled were denied by the Ecuadoran Embassy, and it would appear that he would remain in there. I had the Panasonic G80 with me, and the 20mm F/1.7 lens. I include a few pictures below. Not the mist exciting picture I have ever taken but I like the length. It seems really sharp and its not too intrusive. I do a lot of travelling about for work and also bits of holiday. Normally I take my Nikon D750 and perhaps a 24-120 F4, but as it now has a battery grip that is a lot of camera to carry about. This is particularly a problem if I am going to a conference as I will then have a laptop etc as well! Makes for a heavy bag and the after long days walking about it can be a bit much. So I bought a new travel camera! 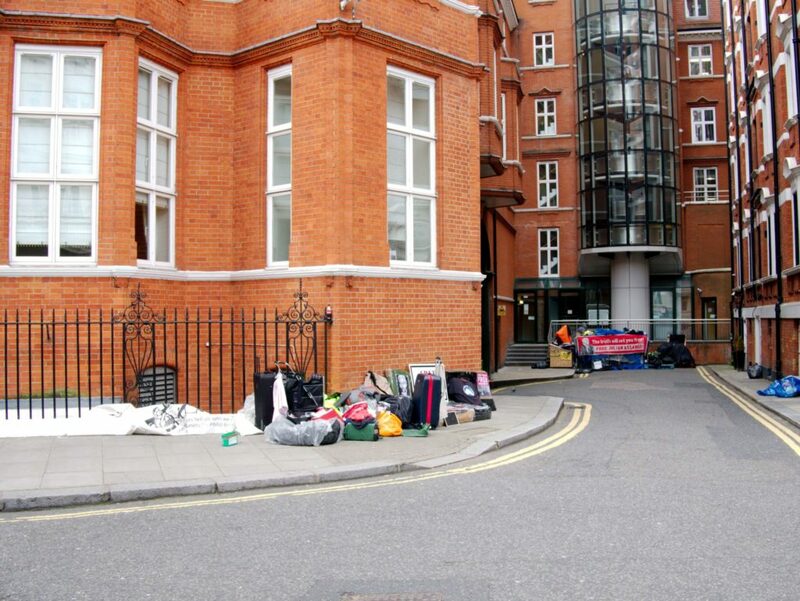 I frequently buy second had cameras as you can get a good deal and often things have been well looked after. 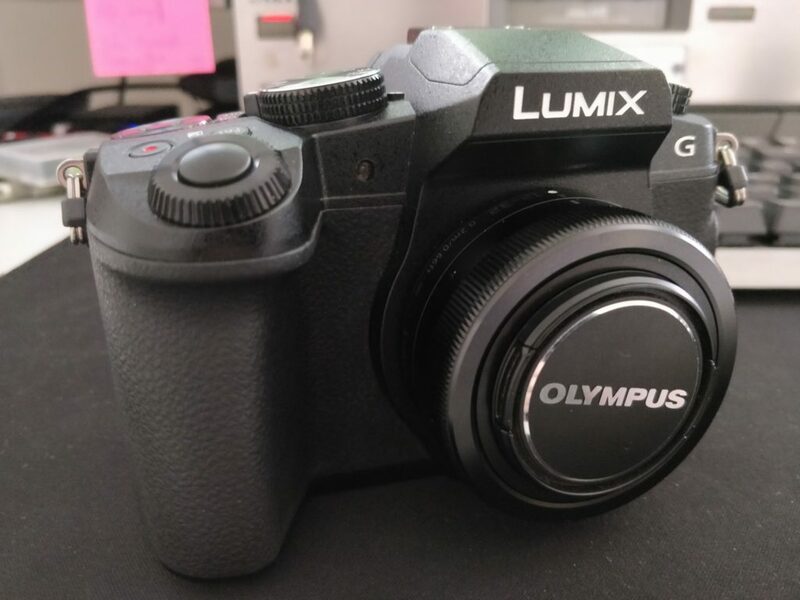 So I went for a second had Panasonic Lumix DMC-G80, with a 12-32 Panasonic Lens. So far its looking good! Its a nice compact camera that has a touch vari-angle screen, EVF, and can do 4K video with an external mic! Perfect for what I need. The vari-angle screen is a nice feature if I did want to record myself or do a selfie etc. The vari-angle screen which can be used for awkward places or recording ones self. The best thing in terms of travel photography is that its small (ish), especially when compared with my D750. It is a lot lighter (585g vs 1991g for the Nikon) and although one would assume that the D750 with the glass I have would beat it for sharpness and probably also in low light, the pictures look very good. I will of course be keeping the Nikon gear and I would like a Nikon 24-70G F2.8 (not the very new one I can can’t afford that), and perhaps in the future I would get a D850. 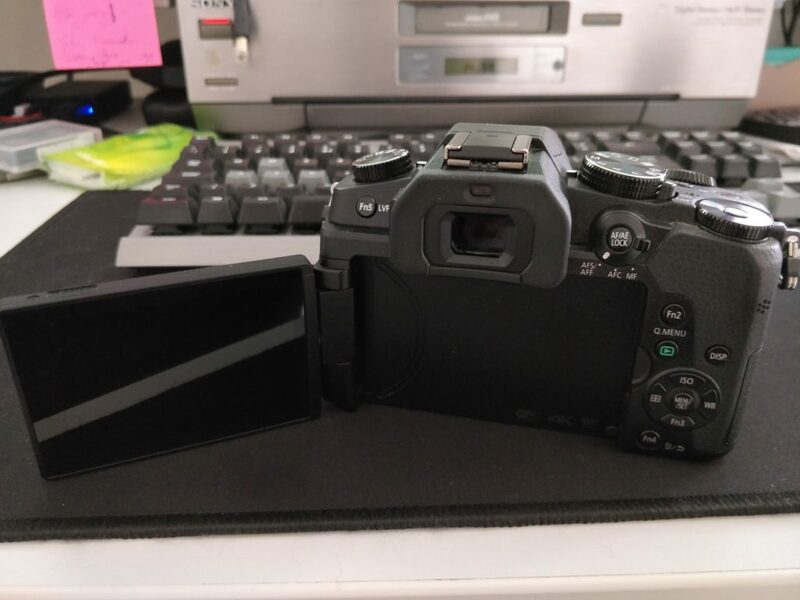 I don’t think I will be getting a Z series camera for a long time. 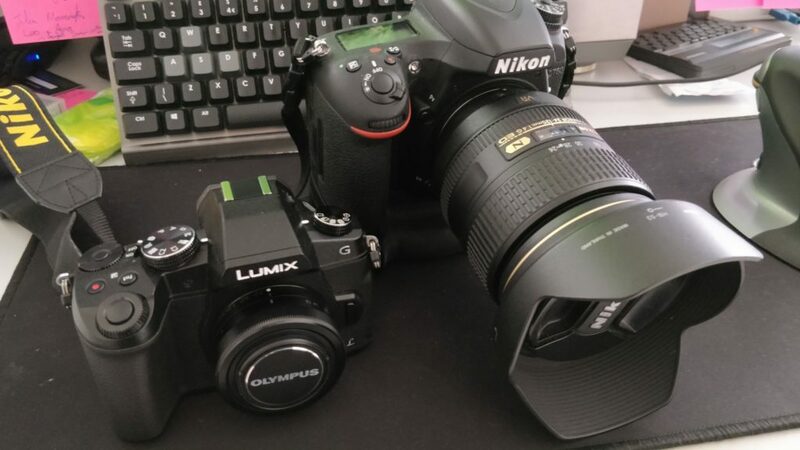 This second hand combination came in at ~£500, a Z6 would have been £2500+ with a lens. I will be posting some pics up soon. Goodbye Squarespace. Nothing against it but as I am running a server anyway for other websites I decided to move my website onto that, buy a half decent theme and off we go. This also avoids the situation I was in paying international fees. So here we are, on WordPress. I actually liked some of the old layout I had so I decided to stick close to it, but using the features of the photography theme. So far all good. I need to change the logo from their’s to something else. There are probably some other tweaks that could be made I am sure.